From the rainforest we walked through a portion of the Thurston lava tube. 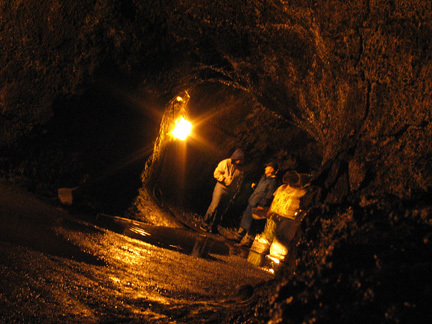 Lava can travel many miles underground through these lava tubes. There is a lighted trail through a small portion of the Thurston tube.